PROBLEMS WITH DEFINITION OF THIS NUMBER HAVE CAUSED CONFUSION. This Number Has Been Used to Describe Two Units, Which are Identical to Each Other in Every Way, Except the Regulator is Mounted at Either 10:00 or 2:00 on the Side of the Rear Housing. This is a Problem in Certain Applications. The 14573 NOW Is NDenso OEM No. 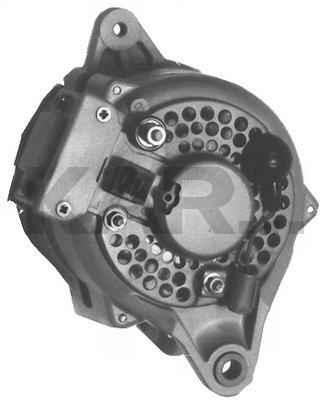 's 021000-6560, 021000-7850 and 100211-0090 or Toyota OEM No. 's 27020-41080, 27020-41082, 27020-45030 and 27020-45121. This Unit Has the Adjusting Ear Directly Opposite the Mounting Ears, Has a Double V-Groove Pulley, and Has the Regulator Mounted at 10:00 on the Side of the Case. The Plug Configuration is "L-IG". For the Same Unit, But the Regulator is Mounted at 2:00, See 13169 (This is a Reverse From Original Lester). For the Same Thing as the 14573, But With an "IG-N" Plug, See 14337.